Every fabric scrap has a story. I love that I can remember so much by seeing just a scrap: what I've made with the fabric before, where I bought it, when it was gifted, what was going on in my life, etc. 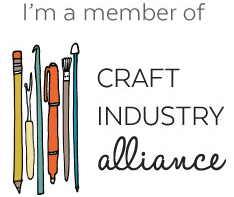 That's one reason I love quilting. 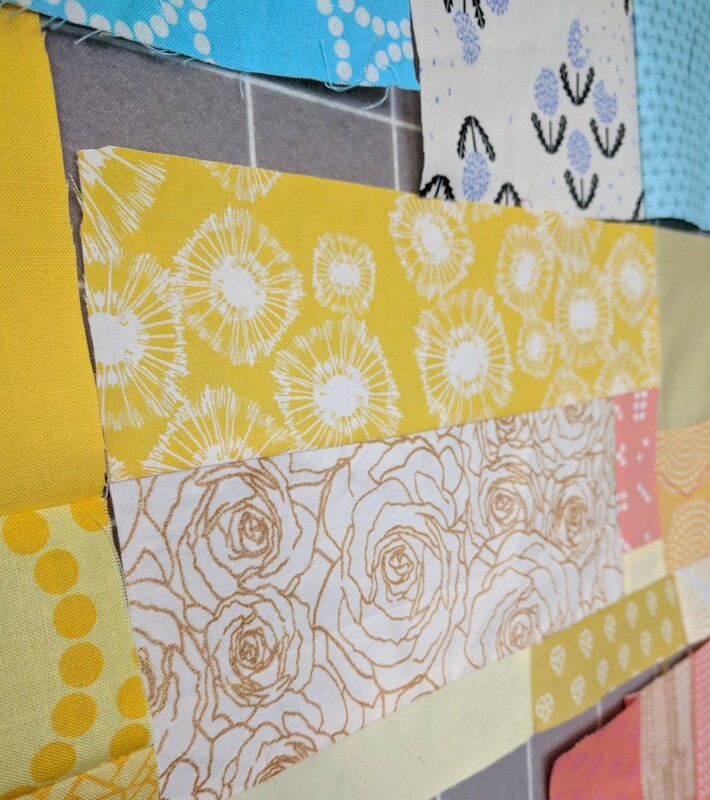 Do you save your fabric scraps? 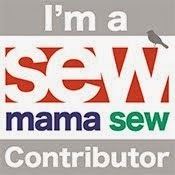 I do, happily, but once my mountain of scraps starts falling over, it starts to irk me. 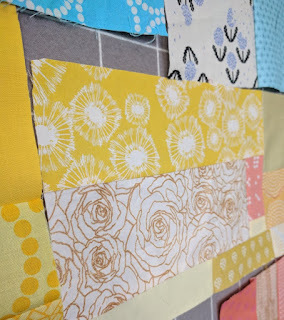 That's when it's time to make a new scrappy quilt, and my favorite way to do that is with the technique I teach: brick by brick improvisation. 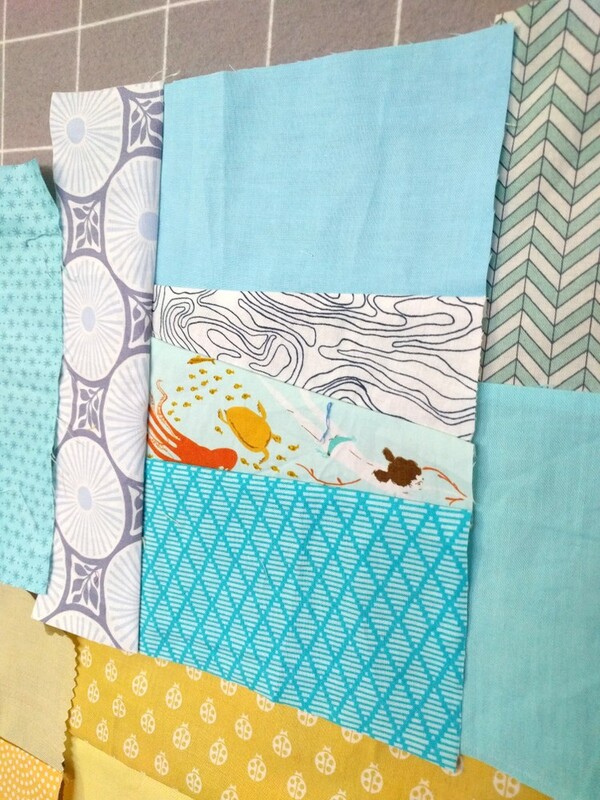 Recently, I was inspired to make another landscape quilt; I went digging through my scraps, which are already organized by color (except for Anna Maria Horner and scraps with more than 2-3 colors). For each color, my goal is to use up the smallest scraps first (these can vary from 1 to 2.5" wide - yeah, I keep those sometimes). Once I've made a few blocks, I've gathered more smaller scraps, but usually they are unusable (so I don't feel bad about tossing them). 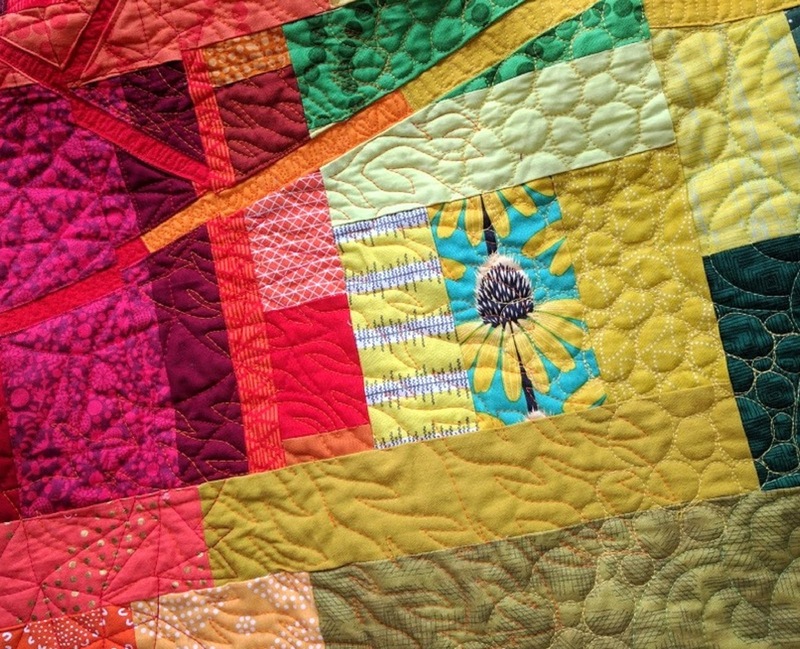 These kinds of quilts are the perfect place for "precious" scraps. I can't help but think about Gollum when I talk about these. You know the ones? 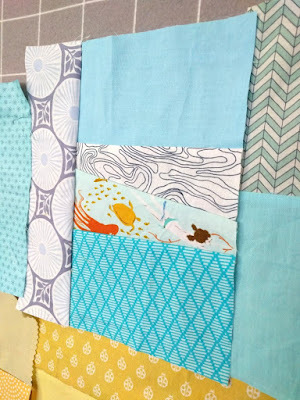 When you go through your scraps, you greedily and excitedly put them aside for the perfect project. My "Fall Spectrum" quilt was a great place to stick them because they stand out on their own but still blend in with the color blocks (see the flower scrap above). This kind of scrap placement can take some practice, and I happily accept the challenge. By the way, if you're going to Road to California this week, "Fall Spectrum" will be there! Could you send me a picture, please?. Anyway, here are just a few examples from the first two rows of the quilt. I've been holding onto this small scrap of a Heather Ross mermaid for years. Looking back, I can't remember exactly where I got it from (I never owned the original fabric) but it's likely from a guild meeting or kind friend. This will be the *only* diagonal seam in the quilt (the fabric was a triangle shape, and cutting it to strip size would have ruined most of the print). This blue-on-blue orange peel (middle of picture) from a recent Cotton and Steel collection was begging to be fussy cut. Once I finally sew the rows together, it should be a perfect four petal orange peel. I never know where my fussy cuts will end up, because of improvisation, but I can still feature them. I made place mats with this fabric, which I'll share soon! My nieces and SIL sent me a fabric Christmas gift recently (! !thank you!!) and one of the cuts was this yellow tree fabric. I love it, and it arrived at the perfect time! 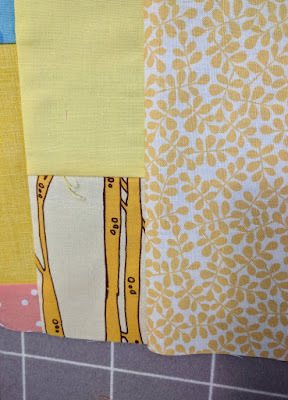 Since there's a lot of brown in the print (which might detract from the yellow row I'm creating), I cut off much of the brown and just left the tree trunks. Whenever I see this print in the quilt, I'll think of my family. Finally, the rose print (gold on white) was lingering in my yellow scrap bin. At first I thought there might be too much white, but now that I've surrounded it with other colors, it's more off-white (which is more acceptable). Isn't it fun how color works? I decided to keep this one in full (for now). I'm fondly remembering featuring the rose fabric in this quilt, "X Marks The Spot," for my friend Liz @beadqueene. Once I've finished the quilt rows, I plan to make a video of how it all came together. It's so much fun to sew this way, but it's also taxing (lots of seams and squaring up). It really puts my brain to work! 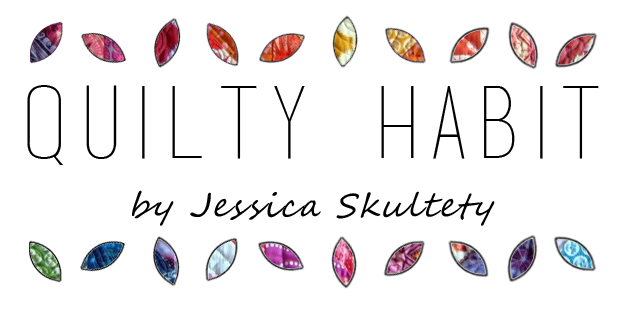 So, do you have precious fabric scraps? What do you do with them? It fascinates me that people can make these blocks look so terrific. I like the decision about the one angled seam - and if another happens - only you will know unless you confess! Need to add this technique to my list of skills. Often I feel my precious saved scraps are so different from each other, that I won’t get the blendy thing. More thinking on this for me, than an experiment in my future! Oh Yes, I have scraps. Some of my friends laugh at me but those scraps get used in small pieces or there might be just the piece to add spark to something. I look at the price of fabric and can't stand to throw away fabric that could be useful.....if you have enough other scraps to put with it. Can't wait to see your finished quilt. Oh, and sometimes my sister visits me to steal fabric scraps...because she doesn't have any!! Yes! I do the same thing with my fabrics-I can remember where I bought it or who gave it to me. Lots of memories surface just by looking at them. Now I can't remember my cell phone #, but I can remember details about fabric I've had for 20 years! Isn't that weird? 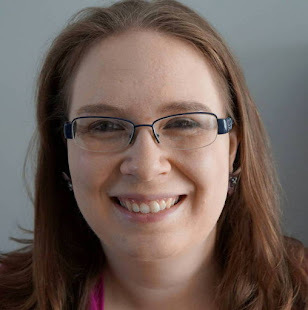 Hope you will share your video---would love to see how you work your magic! Yes! I have scraps. 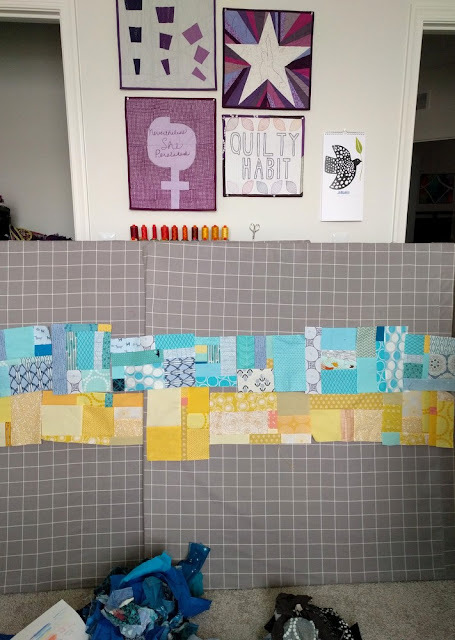 I've just sewn one lot together and made the quilt sandwich... Now I have a second bin of scraps next to my sewing machine and I'm stitching them together as a leader/ender project. It is very comforting picking through the bin and finding so many memories attached to the scraps. 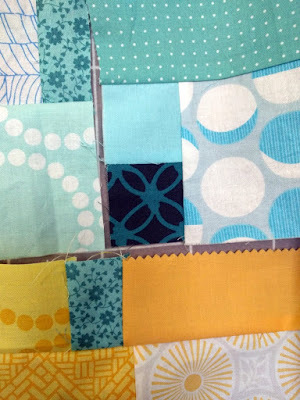 I very much like your more considered use of scraps and the way you place colour across your quilt tops.